Accommodation : 2 spacious cabins with washrooms. Spacious Galley and saloon. Huge cockpit deck perfect for sports fishing, spacious fly bridge. Remarks : The Riviera Motor yachts have reputation of being one of the highest quality sports fishing yachts in the world. Built to be tough and take the rough seas. The 45 Riviera also has a cockpit fishing storage tanks. Surely the best for sports fishing enthusiasts who really like to go out there into the nature in a dependable motor yacht. 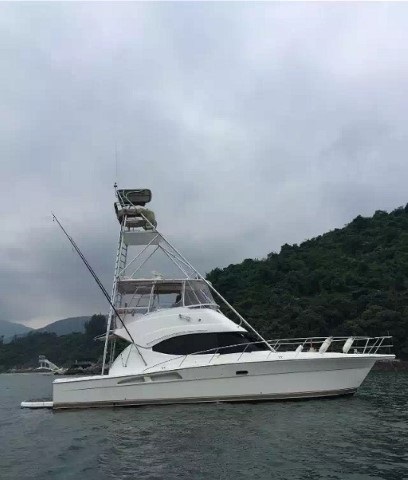 The yacht is located in Hong Kong available for viewing.